Now I want you to know that allowing strangers (and friends) to get a gander of these thighs was a difficult decision...but I sucked it up for the sake of my niece and memories that needed to be captured :) An impromptu trip to Tennessee wasn't in my plans for that summer but my sister was very sick and in the critical care unit of the hospital. I spent some very precious time with my niece Grace in her kiddie pool. 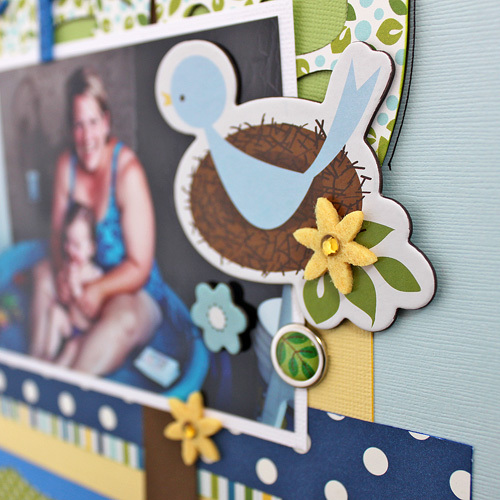 The chipboard icons come in the kit and the birdie was perfect to cover a dark area on my photo. You can also purchase the entire package of coordinating chip icons in The ScrapRoom Store! 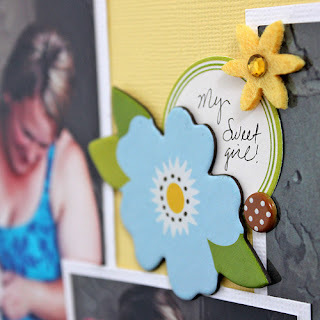 The scalloped border punch is from Martha Stewart and reminded me of waves. 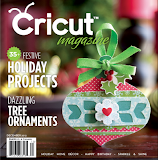 My trusty Cricut and the Straight From the Nest cartridge for the tree. The little bird needed a place for her nest. October Afternoon journaling spots from the February Embellishment kit. Journaling cards are also included in the February Flavor of the Month Kit! ﻿Don't forget to enter my giveaway by commenting on the previous post by February 14th! She truly is my sweetheart. You'll never meet a kinder, more compassionate, smart, artistic, wittier girl. We won't discuss her less desirable qualities, like being a procrastinator or that her room looks like a hoarders dream :) Her brother on the other hand, is my sweet tart. Sweet, funny, smart and kind, yet stubborn, opinionated and argumentative. If he were inclined to let me take portraits of him, he would have a Valentines layout too! It's so much fun now that she is cooperating with my "photo shoots"
So photogenic, love all her expressions. 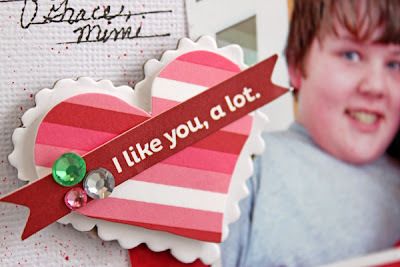 This vellum quote was perfect for this layout but got lost on the light background. A fussy cut heart remedied that! 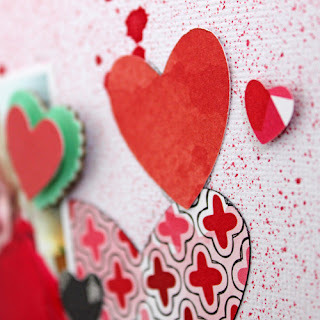 The craft paper heart stickers are from American Crafts. Crate Paper patterned paper. The buttons are Studio G, I think I found them at Walmart. American Crafts craft paper die cut frame, just slid the top portion behind the photo. Title from the Jasmine Cricut cartridge. 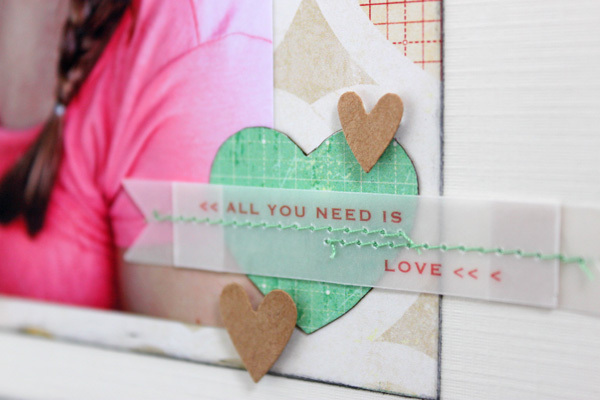 Cut multiple times and layered to create a chipboard feel. 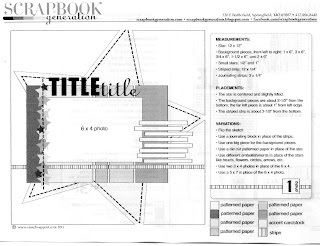 This layout was created using a Creating Keepsakes sketch found under the submissions tab on their website. 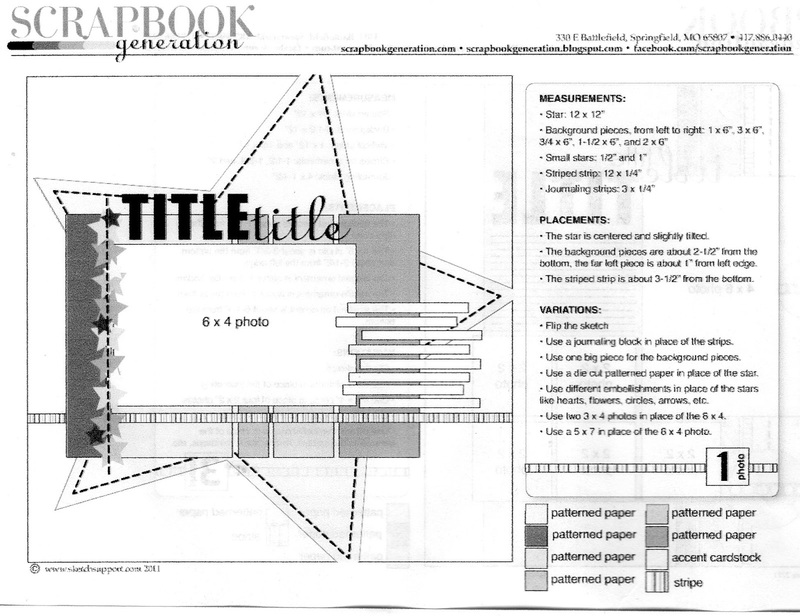 Had good intentions to submit but ran out of time :) Now that I look at this layout from a distance I feel like it would be improved by changing the 2 smaller photos to one larger photo. What do you think? Several years ago when my sister and niece were here visiting from Tennessee, the girls decided to make valentines projects. My sister (not interested in crafting) decided to goof around with the kids, giving hugs and kisses much to Matthews dismay! 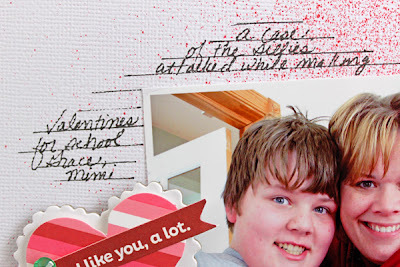 Now that my kids are older, finding Valentine photos is getting harder and harder. So I pulled out these goofy photos and scrapped away. I had a lot of fun cutting out hearts with my Cricut. The Doodlebug and Paisley cartridges have several shapes of hearts available. I can't seem to do a layout without spray ink or splattering lately.It adds so much texture! 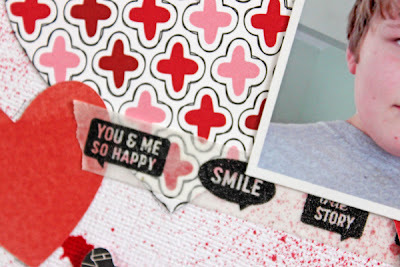 Aren't these layered heart stickers perfection?! I finally used washi tape on a layout! The kit comes with an entire roll. 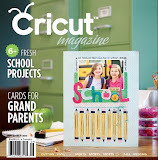 Full sheets of Cosmo Cricket letter stickers & October Afternoon journaling spots. Journaling. I'm really loving had writing my journaling and not having to mess with the computer. 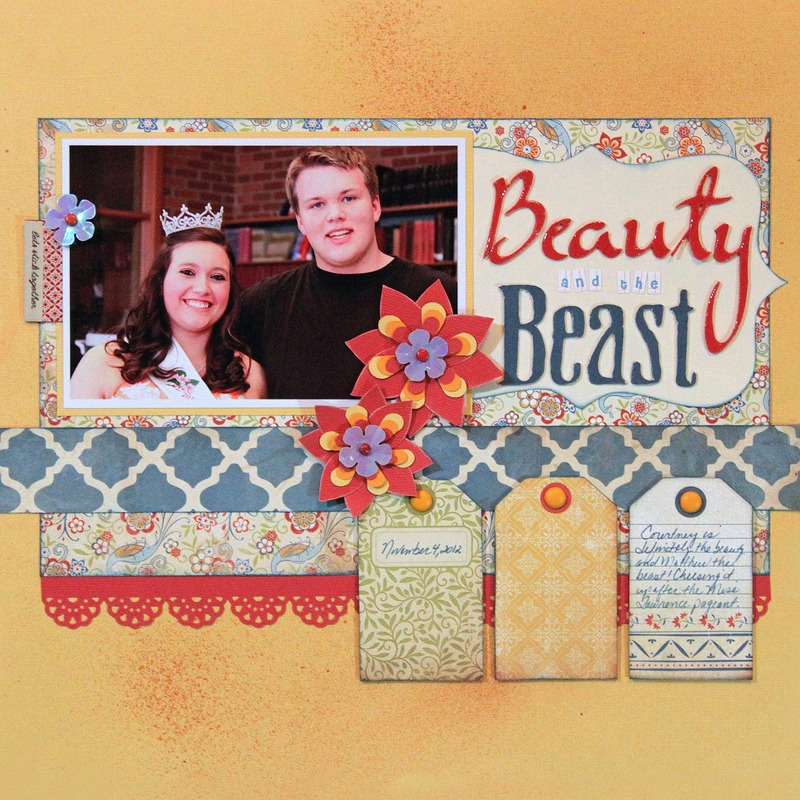 Come back and visit throughout the month for more layouts from The ScrapRoom's February kit! I couldn't resist scrapping some more of these photos of my son playing his electric guitar! I love his "Rock N Roll" t-shirt and improvised fingerless gloves, "To keep my guitar clean Mom!". 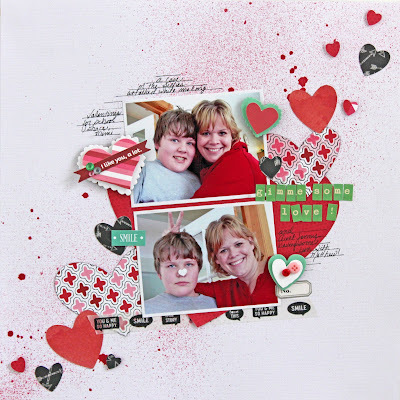 Not for the cool factor I'm sure :) I used a sketch from my favorite sketch designer Allison Davis and the The ScrapRoom January Flavor of the month kit. Unfortunately Sketch Support is no longer an active site so you are unable to access the sketches. I'm really in love with splattering right now! 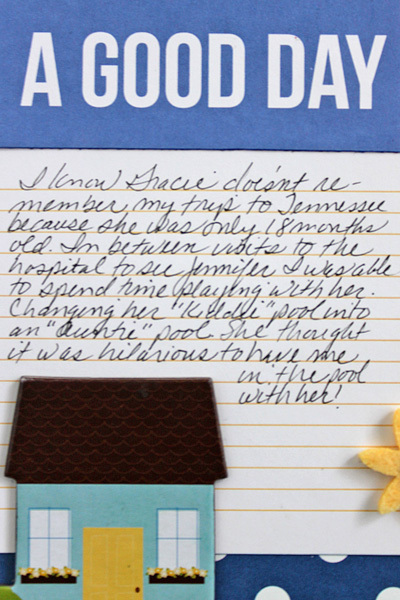 The bright graphic patterns of "The Good Life" by Fancy Pants are right up my alley. The Traditions line by Carta Bella was a little harder for me to work with as my style has moved away from soft, traditional prints but this photo of my son and his (no longer :( ) girlfriend had the perfect color scheme. More Cricut cuts from the Jasmine, Stamped and Flower Shoppe cartridges. Somehow I failed to do any close ups of this layout. Used Glossy Accents on the "Beauty" part of the title. More misting and inking to complete the feminine feel. It's almost time for the February reveal! I'd better get on the ball! Hello! 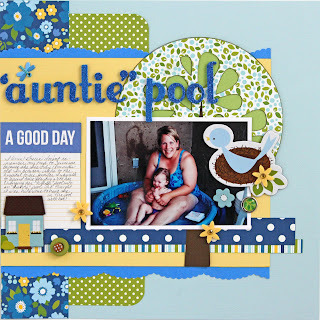 I'm a labor and delivery nurse of 25 years moonlighting as a scrapbooker. 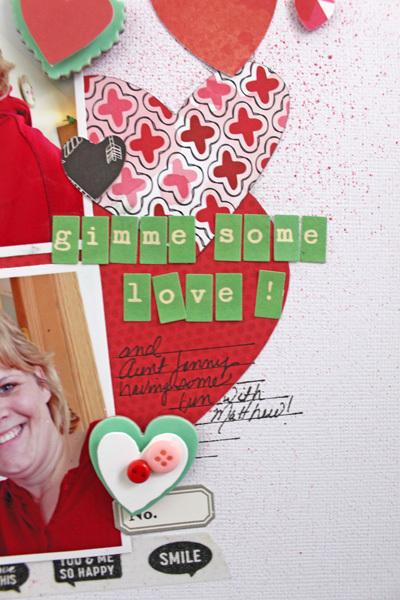 Scrapbooking has quickly gone from a hobby to a passion. I love creating works of art with my family as the focus.